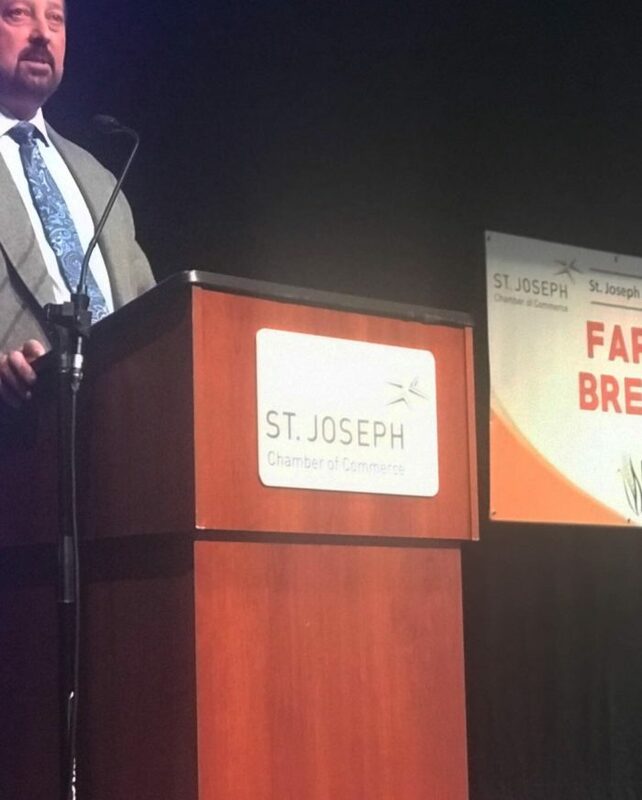 About 450 people from the agribusiness sector of the St. Joseph economy attended the annual Farm City Breakfast Friday, March 22. 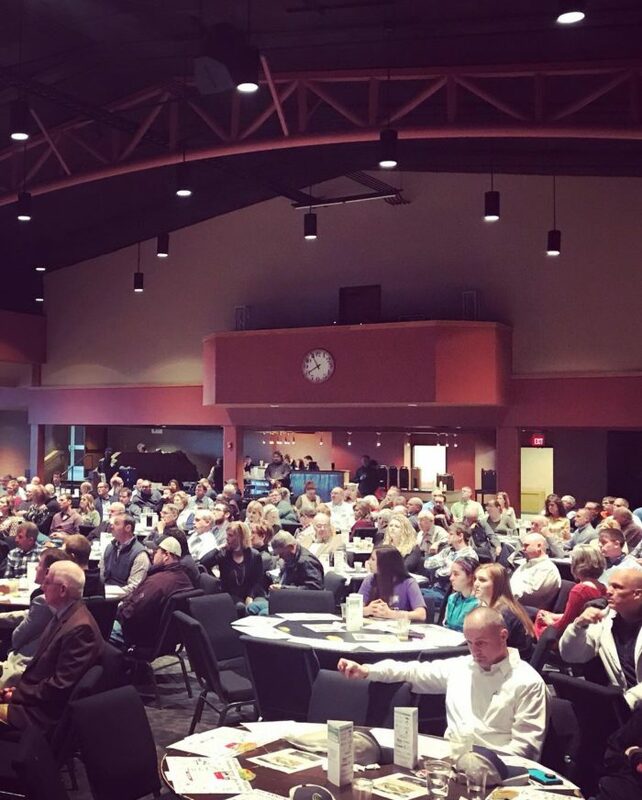 The event is a fundraiser for Agriculture Future of America scholarships and serves as a way to bring farmers together with other ag business professionals. 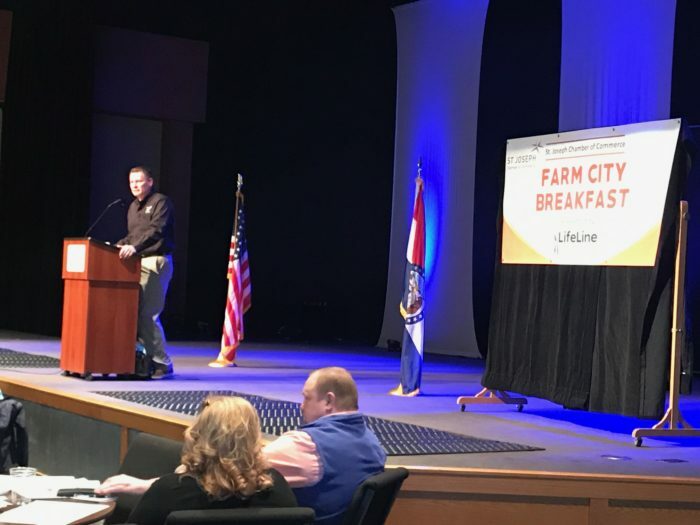 This year the featured speaker was Mike Adams, from syndicated radio program “Adams on Agriculture,” which airs locally on KFEQ. He said he fears the trade war between the U.S. and China will have a tremendous negative effect that will take 30 years of which to truly know the effect. “I fear we’ll never make up for what we’ve already lost,” he said. He said he’s also very concerned about the Green New Deal and the current administration’s lack of action around ethanol policies. “There’s no real leadership from either side of the aisle,” he said. 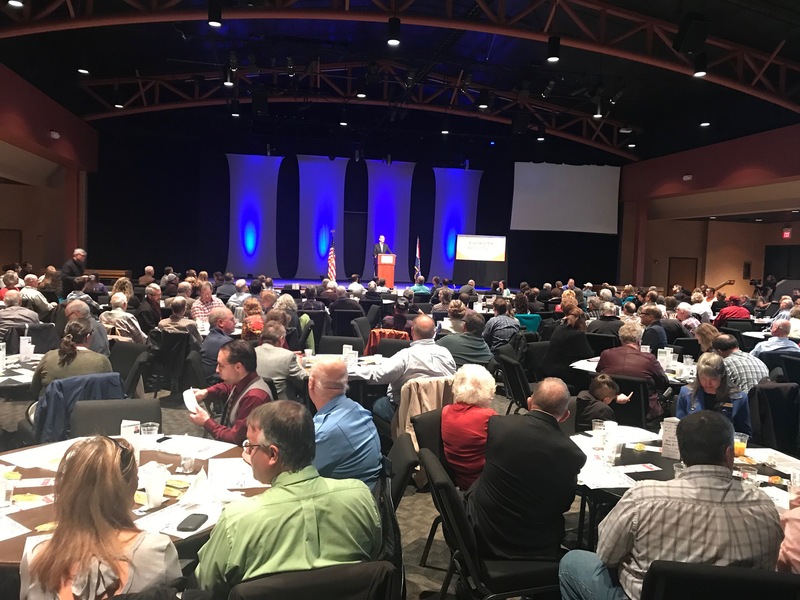 He did give thanks to those in the room for being active in the issues involving agribusiness and helping educate future ag leaders with scholarships. He said the event has grown much over the years. “I commend you for what you do, as farmers, as the Chamber and as a region. You’re a leader,” he said. Each year the Agribusiness Committee of the Chamber selects new members to the Ag Hall of Fame. This year Terry and Sarah Cotton were honored. 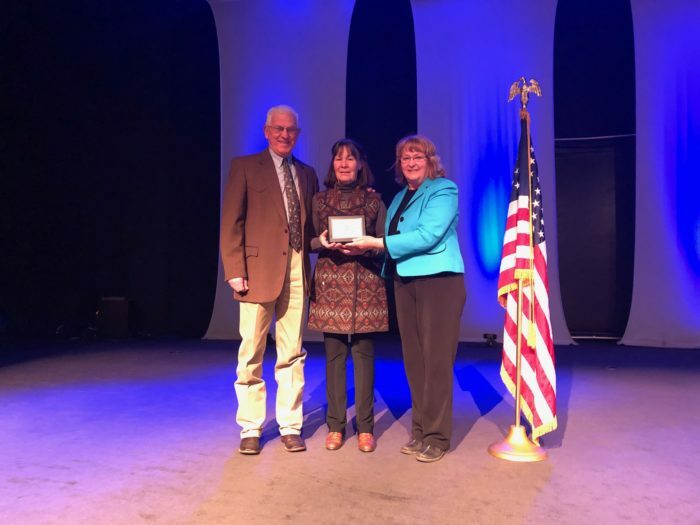 Terry dedicated his life to agribusiness since the 1970s here, excelling at the American Angus Association, where he grew Angus Media from $1 million in revenue to $10 million. 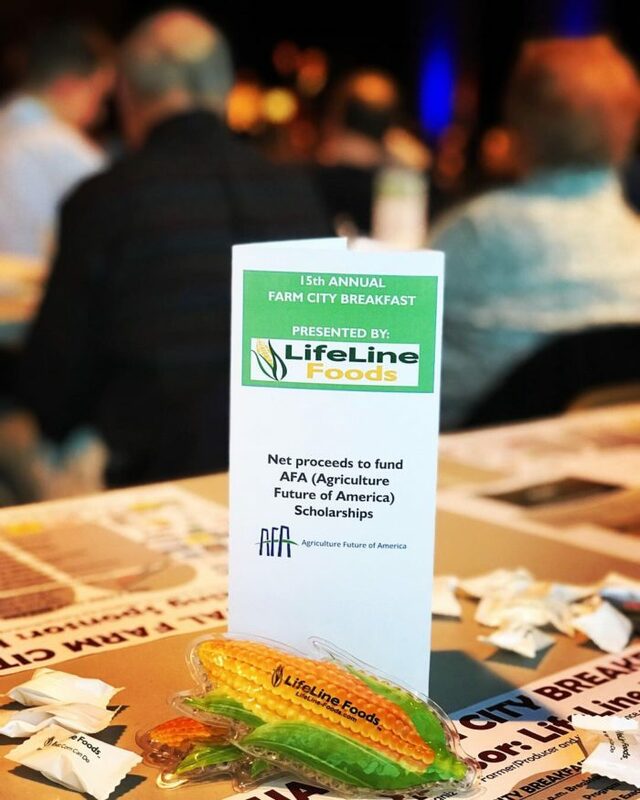 The event was presented by LifeLine Foods and also featured speeches by AFA staff and a scholarship recipient and the Ag Expo Center.